A Book of Blessings has 365 inspiring prayers, prompts, and Bible verses on themes of asking for and understanding blessings in our lives. Padded, die-cut cover with angel charm. Calendar organization makes it easy to find the month and day. Uplifting colors and inspiring fourcolor art throughout. 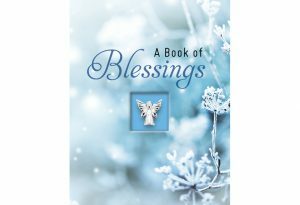 This book is an invaluable and easy-to-use companion for any believer in search of inspiration.